Another day another incredible deal for Hublot CEO Jean-Claude Biver. The latest is a particularly big one. 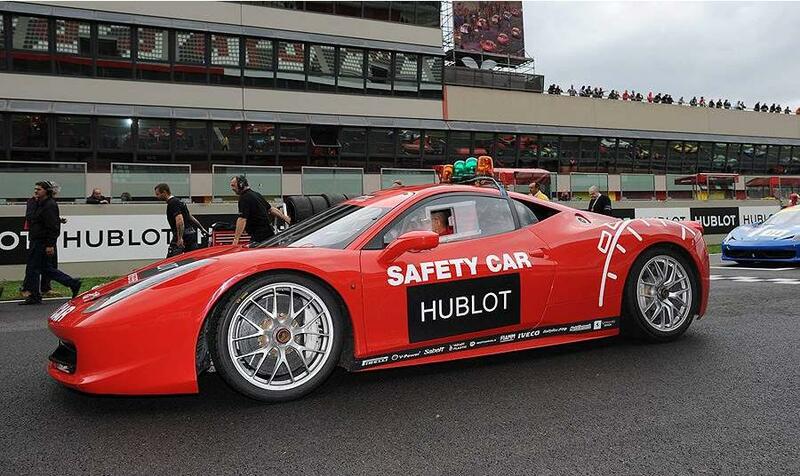 Officially Hublot will now be the “watch and timekeeper of Ferrari,” as well as the “timekeeper of Scuderia Ferrari,” the company's racing arm. In addition to an ongoing series of limited-edition wristwatches, Ferrari President Luca Cordero di Montezemolo indicated at the press conference that future Ferrari models could be fitted with Hublot dash clocks. Hublot becomes the fourth luxury watchmaker granted the honour of adorning the iconic Ferrari prancing horse emblem, joining Girard Perregaux (Ferrari Collection 1994 to 2004), Panerai (“Ferrari engineered by Panerai” 2005-10) and Cabestan (2010 Scuderia Ferrari One, a very limited-edition, one-off project). Prior to the press conference, Jean-Claude Biver shed some light on the impetus for the project. Biver explained that neither he nor Montezemolo came up with the idea for the partnership but rather his friend and Fiat scion Lapo Elkann--who is the manager of brand promotion at Fiat and who has also held positions at Ferrari and Maserati. 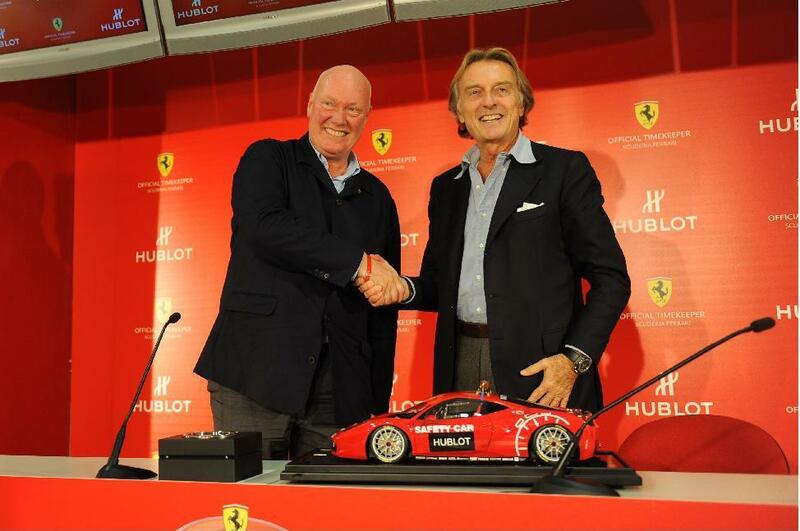 Biver and his team will debut their first Hublot Ferrari vision at the BaselWorld watch trade fair in mid-March 2012. Biver hinted during the press conference that the watch might incorporate a proprietary “Ferrari red” ceramic, although Montezemolo playfully reminded him to consider some of Ferrari's other historical colours, such as yellow. Hublot was one of the true innovators of incorporating industrial-grade ceramic in luxury timepieces. Prices for forthcoming watches was not made available.